Dumdaar Salman Khan’s Surprise for Little AbRam Khan on Dus Ka Dum – Dumdaar Finale! Sony Entertainment Television’s Dus Ka Dum is gearing up for a Dumdaar Finale this weekend. 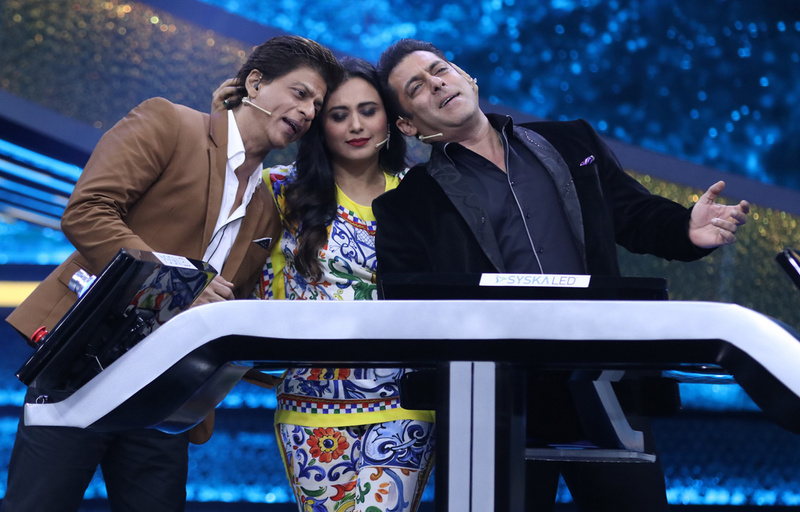 The show will witness the King of Romance Shahrukh Khan along with the ravishing diva Rani Mukherjee grace the stage alongside Salman Khan. The alluring stars Salman Khan and Shahrukh Khan who have been good friends and often support each other in their respective ventures are not only friends with each other but with their families too. We all know how our Dumdaar host loves kids and is often seen showering love on them. One such adorable kid who our charming host loves the most is Superstar Shahrukh Khan’s son Abram Khan. Abram who made a special place in the Salman’s heart, was bestowed with a cycle from Salman Khans famous brand. One evening while Salman Khan was riding his E-Cycle, he caught up with Shahrukh Khan at his residence and decided to give Abram a cycle. This took Abram by surprise and he loved it. A source from the set revealed”, Superstar Salman Khan has always been known for his golden heart and his love towards kids is evident. Anything he does for them is from his heart and his surprise for superstar Shahrukh Khans son Abram Khan was a great gesture and just shows his love for the tiny tot. The bond with Salman Sir and Shahrukh Sir is one in a million and it really good to see them back together”.